A Thunderbirds flyover, a gassed Dale Earnhardt Jr. fan, and a beer-blinded Brad Keselowski in Victory Lane. Let’s take a look at the best animated moments from Sunday’s race at Las Vegas Motor Speedway. America’s Ambassadors in Blue – a.k.a. 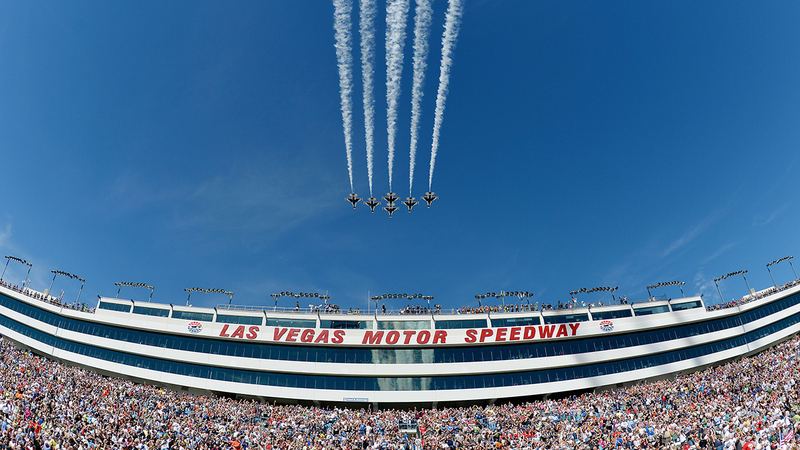 the USAF Thunderbirds – got the day started off right. An empty gas tank prevented Junior from winning his second race of 2014. "Junior Nation" wasn’t pleased. Keselowski took the checkered and burned some rubber. There’s no crying in NASCAR … it’s just really hard to see after a good Miller Lite celebration.